Buffalo Tools 30 inch Magnetic Sweeper is heavy duty aluminum pickup tool works on a variety of surfaces. The heavy duty construction holds up to 30 pounds of ferrous objects. The aluminum body measures 3 inches x 4 inches x 30 inches. The quick release load lever and adjustable extension handle makes for easy use. 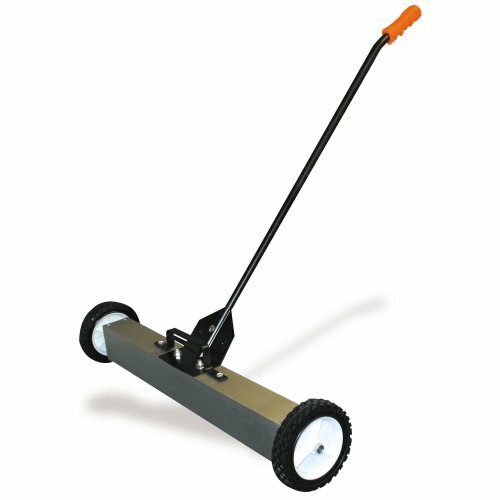 is - 30 " Magnetic Sweeper - This heavy duty aluminum pickup tool works on a variety of surfaces. The heavy duty construction holds up to 30 pounds of ferrous objects. The aluminum body measures 3" x 4" x 30 ". The quick release load lever and adjustable extension handle makes for easy use. For customer service or warranty questions please call 636-532-9888.